@heyjeffreyjay Jeffrey Jay from the podcast Two Black Women joins us to discuss how non-threatening we can look, getting high, blended burgers and transitioning from Courtney to Jeffrey and a transgendered person. Dani Fernandez @msdanifernandez returns in part 2 of #AwkwardlySocial We discuss failed attempts at being trendy, the struggle of a comic and writer and all things awkward. Be sure to follow Dani Fernandez on twitter and instagram. 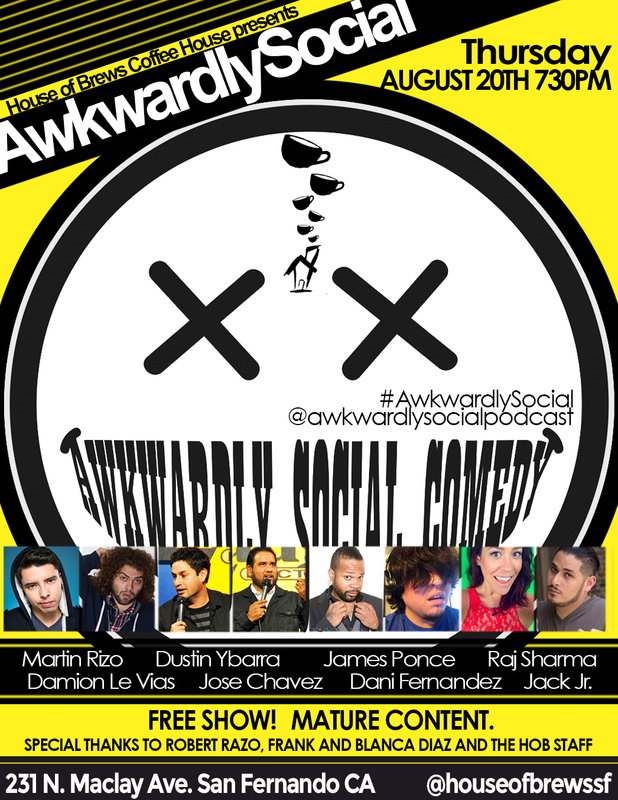 Dani Fernandez @msdanifernandez joins us on this episode of #AwkwardlySocial discussing comedy, strippers, massages and the last minute lifestyle that is standup. Be sure to follow Dani Fernandez on twitter and instagram.